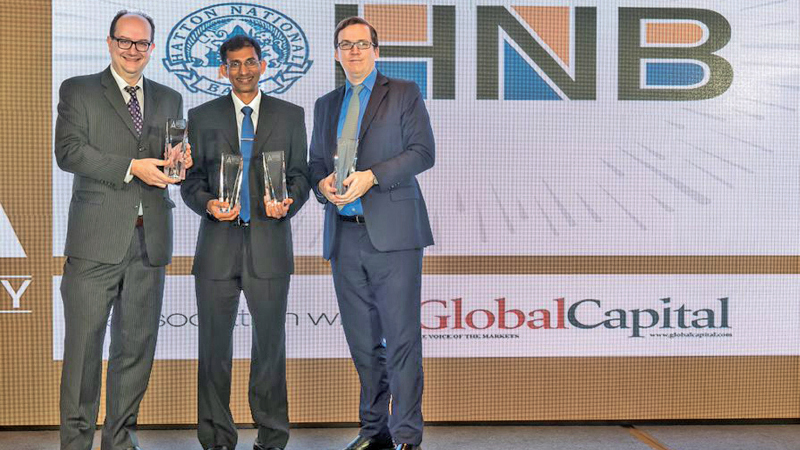 HNB PLC, was presented with a total of four awards at the internationally acclaimed Asiamoney Best Bank Awards 2019. “Social responsibility is at the very core of HNB’s corporate DNA and is an element that transcends from mere philanthropy to a holistic and cohesive component of the long-term corporate strategy, which in turn is reflective of strategic national priorities. In the two years to the end of 2018, power consumption fell by 17% as HNB increased the number of branches powered by renewable energy from 52 to 69. “HNB offers some of the most advanced, streamlined and reliable Trade Finance services in Sri Lanka – from complete structuring of Trade Financing facilities, issuing of Letters of Credit and Negotiation of Export documents to issuing of Shipping Guarantees and the facilitation of Entrepôt trade business. While this is an extensive array, we always seek new ways to add value, and so HNB places an equal emphasis on advisory services, awareness building workshops and networking of clients locally and globally, as we believe in partnering with our customers to provide well-thought through Trade Financing solutions.” HNB Assistant General Manager, Trade and Financial Institutions, Janath Ilangantileke explained.“Together with the expertise of a dedicated team that is comprised of the best talent in the domestic industry, we have successfully catered to the needs of a diverse array of corporates from multinationals, to large local conglomerates, mid-market enterprises, financial institutions as well as entities in the NBFI business,” HNB Deputy General Manager, Corporate Banking, Ruwan Manatunga explained.